Hebrews 4:11-16 speaks of a fearsome sword that divides soul and spirit, joint and marrow, and reveals the inner intentions of the heart. Discover the edenic background to the double-edged sword of the book of Hebrews and the Way to the tree of life. Let us therefore make every effort to enter that rest, so that no one may fall through such disobedience as theirs. Indeed, the word of God is living and active, sharper than any two-edged sword, piercing until it divides soul from spirit, joints from marrow; it is able to judge the thoughts and intentions of the heart. And before him no creature is hidden, but all are naked and laid bare to the eyes of the one to whom we must render an account. D. Thomas Lancaster started this week’s sermon by going over the sense of distance we sometimes (often?) perceive exists between us and God. I’ve experienced that distance more than once. I’ve attributed that distance to my own faults and failures. After all, what else could it be? Lancaster went through the ancient, traditional approach that people took to “access” God. As I’ve always surmised, why should an infinite, omnipotent, God want or have to listen to one tiny mortal human being? 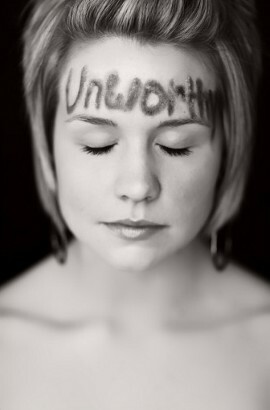 Who do we think we are, anyway that God should be mindful of us? So usually ancient man had to go to a god’s temple, bring an appropriate sacrifice, and allow the priest of the temple to offer the sacrifice on our behalf. They needed a priest. I can already see where Lancaster is going and the expected Christian response that, as believers, we are now our own priests (1 Peter 2:5) and don’t need an intercessor. God removed the veil separating man from the most holy place (Matthew 27:51, Mark 15:38). But let’s wait and see how far and in what direction Lancaster takes this sermon. Lancaster says the requirement of a priest did not always exist. Adam and Eve walked with God in the garden, in Gan Eden, in paradise and there was nothing between them and Him. But that didn’t last too long. Then the Lord God said, “See, the man has become like one of us, knowing good and evil; and now, he might reach out his hand and take also from the tree of life, and eat, and live forever” — therefore the Lord God sent him forth from the garden of Eden, to till the ground from which he was taken. 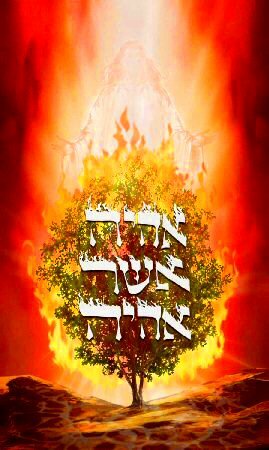 He drove out the man; and at the east of the garden of Eden he placed the cherubim, and a sword flaming and turning to guard the way to the tree of life. No, the cherubim are not cute, little, baby-like angels. The keruvim are big, dangerous, fierce angelic beings with a flaming sword, no less, turning in each direction to bar the way to the tree of life. And human beings walked out of Eden and have been in exile ever since, trying to find a way back, trying to return to paradise, and even we, who have put our faith and devotion in Messiah, are still separated from God, still in exile, still on the outside looking in, some of us more than others, it seems. He slaughtered the ox and the ram as a sacrifice of well-being for the people. Aaron’s sons brought him the blood, which he dashed against all sides of the altar, and the fat of the ox and of the ram—the broad tail, the fat that covers the entrails, the two kidneys and the fat on them, and the appendage of the liver. They first laid the fat on the breasts, and the fat was turned into smoke on the altar; and the breasts and the right thigh Aaron raised as an elevation offering before the Lord, as Moses had commanded. Aaron lifted his hands toward the people and blessed them; and he came down after sacrificing the sin offering, the burnt offering, and the offering of well-being. Moses and Aaron entered the tent of meeting, and then came out and blessed the people; and the glory of the Lord appeared to all the people. Fire came out from the Lord and consumed the burnt offering and the fat on the altar; and when all the people saw it, they shouted and fell on their faces. Lancaster showed us in the verses above, the inaugeration of the duty of the Levitical priesthood. So now only priests can enter into the presence of the Lord and only after making extensive preparations on their own behalf as well as on the behalf of those they represent. Again, I know what you’re thinking, Christians. Hang on. The answer is coming. Is there a way back to Eden, a way back to the level of intimacy that Adam and Eve (or Chava, actually) enjoyed with Hashem? Is there a way past the keruvim and the flaming sword? The word “message” in Greek is “logos” or “word” and is representative of the Torah, and it contains judgment for disobedience of transgressions, just as the sword was God’s response for disobedience at Eden. The sword is logos, Torah, God’s standard, God’s instruction. How can we get past God’s judgment, past the sword, is there a way back to Eden? It’s no coincidence that the ancient name for the Jewish worship stream devoted to Yeshua (Jesus) was called “the Way.” Genesis 3:24 says the sword guarded ”the way to the tree of life” (emph. mine). Just like Israel in the days of the Tabernacle, in the days of the Temple, the writer of Hebrews is telling his Jewish readers that they need a priest to help them draw nearer to God, but even though they had priests to intercede and offer sacrifices in Herod’s temple, there was an even greater priest in an even greater, heavenly Temple, and only through him could they, can we approach any level of intimacy with God. But this is no easy thing. One does not simply declare that they “believe in Jesus” and suddenly it’s alright and everything’s groovy. In Rabbinic interpretation, the Torah was given with a sword so that if Israel obeyed God, the Torah would save them from the sword, and if Israel did not obey God, the sword would mete out judgment, which as we see many times in the record of the Tanakh (Old Testament), that is exactly what happened. Even the mere thought of entering into the presence of God should send us into fear and trembling, for who is without sin, and who has not disobeyed the most powerful, almighty, infinite God? It is a terrible thing to fall into the hands of the living God (Hebrews 10:31). The sword, the Torah, is God’s standard of righteousness and it judges us. In and of ourselves, we cannot pass by the flaming sword and enter into God’s presence in paradise. 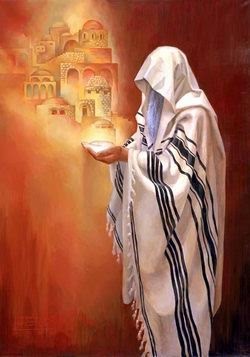 Once a year in the days of the Temple in Jerusalem, the High Priest would go through a special set purification rites and sacrifices for himself simply to prepare to enter into the Holy of Holies on the Day of Atonement, on Yom Kippur, to present the annual offerings to atone for the sins of the nation. But he had to do this once a year, and he had to offer many sacrifices just to atone for his own sins first, so he could be in such a state of purity in order to be acceptable enough to enter into the Most Holy Place in the earthly Temple. This was an effective system but it had limits. The writer of the Book of Hebrews says there is one even more righteous than the High Priest of the line of Aaron. This priest is without sin, a tzadik who is completely Holy unto God. It is he who is our hope, not of entering the earthly Temple (as it will one day exist again) to make offerings, but to enter past the keruvim, past the flaming sword, past the desperate hazard of God’s judgment and the threat of burning eternally in Gehinnom, so that we may rest in God’s mercy in paradise. I particularly appreciated the word play associated with “the way” as illustrated in Genesis 3:24 and John 14:6, and how that “way” allows us to return from the exile humanity experienced as a result of the failure at Eden. It puts me one step closer to understanding why we all need a “Savior,” and why prayer and repentance to Hashem is “not enough,” a question that has plagued me for quite some time. But it also brings up a question or rather, it reminds me of an unanswered question I typically ignore except at times like these when I can’t avoid it. For we do not have a high priest who is unable to sympathize with our weaknesses, but we have one who in every respect has been tested as we are, yet without sin. There seems to be a disconnect between this verse and the one that follows, and even between one part of this verse and another. Yeshua (Jesus) lived a perfectly human and yet a perfectly sinless life for thirty some odd years. I probably can’t avoid an act of disobedience for thirty some odd minutes (or even thirty seconds, sometimes). So Jesus can sympathize with us when we are tempted and tested because he knows the difficulty and suffering of testing as well. Lancaster says it wasn’t just the three trials of the tempter he had to endure (Matthew 4:1-11), but living a human life, he endured human temptations. …but he did not sin…ever. So our high priest can sympathize with our trials, just like the Aaronic High Priests as human beings could sympathize, but an Aaronic High Priest could also sympathize with failure and having sinned because they weren’t perfect…they sinned. Jesus never sinned, which is what qualifies him to enter into the Heavenly Holy of Holies on our behalf, but how can he possibly sympathize with human failure when he never failed? Recently, Derek Leman wrote a very good piece on the meaning of grace that transcends the traditional Christian interpretation and adds a great deal of depth to God’s divine kindness and mercy and His undeserved gifts to human beings. On that level, I can understand why Jesus the High Priest would intercede for us before the Father, and I can imagine that he might feel merciful and even experience pity for we pathetic human beings (I may not be apprehending Derek’s point as much as I need to here), but sympathy or rather empathy because our experience is his experience? I don’t think so. I can’t see how you can understand failure unless you’ve failed. Since Jesus never failed, how can he, or God the Father, the infinite and unknowable Ein Sof, possibly understand us? How can Jesus ever understand me when I fail?